Buying cheap ink is a choice you should make with your eyes wide open. Third-party cartridges cost less than the manufacturer brands, which is why people buy them. A list of third-party retailers currently selling remanufactured ink cartridges is below. 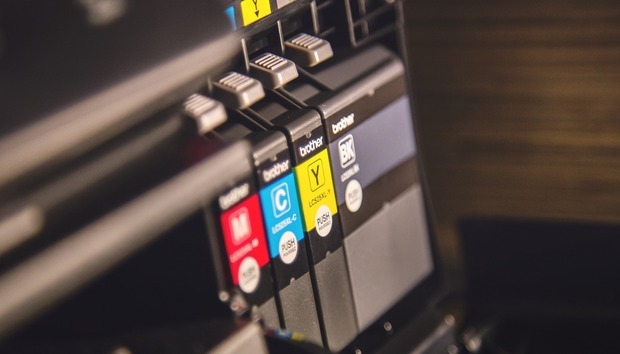 But even if you ignore the dire warnings from the original printer vendors about voided warranties and subpar print quality, it can be difficult to tell whether the third-party ink you buy is any good. We can't give you any promises, but we can tell you how to shop smarter for cheap ink. One time-tested method is to shop at an established retailer (online or brick-and-mortar) that guarantees the quality of its products. Obvious examples include office supply chains that carry their own branded third-party ink cartridges, such as Staples and Office Depot. Staples.com has an Ink & Toner Finder that can tell you whether your model is covered, as does Office Depot. If you find compatible ink, you can buy it online or check for inventory at your local outlet. If you’re eyeing products from a vendor you haven’t used before, ask questions. A reputable online ink retailer should be open about how they source their inks. Carrot Ink, for example, claims, "every Carrot Ink brand product that hits your doorstep has been manufactured under stringent ISO 9001/2000 standards." If a particular site offers reviews, check to see whether previous shoppers are complaining about common problems like clogged print heads or low-quality print jobs. Check the vendor's website or ask the support staff how thoroughly the company inspects used cartridges. “Do they look for cracks? Do they test the electrical characteristics of the cartridge? A cartridge can look fine but have a broken electrical component, and then it won’t work,” Tricia Judge of the International Imaging Technology Council told us in 2008, when we first published this article. The vendor should also test the cartridge after the refill, Judge said. Finally, understand your options if your ink cartridge arrives defective or produces mediocre prints. A survey of some of the vendors shown below indicates that vendors are ready to stand behind unopened cartridges for 30 days to a year, though they may charge restocking and shipping fees for returns. Once you open the ink, however, it's yours. Of the third-party vendors surveyed, Databazaar was willing to refund an opened cartridge if it still had 70% of its ink supply. In other words, you can't be sleazy and use the entire cartridge before deciding it's no good. This article was originally published June 23, 2008, by Jeff Bertolucci. « What is a VPN?